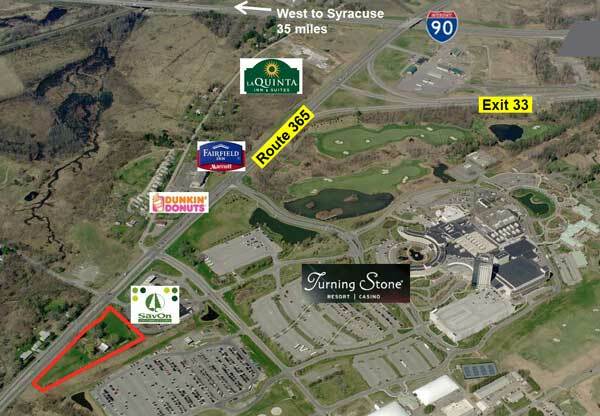 A 3.56 ± Acre development site located at 5186 Route 365, Verona, NY was recently sold. The property, adjacent to the SavOn Gas and Convenience Store in front of Turning Stone Casino and Resort was sold to 5186 Rt 365 Verona LLC in February 2018. The new owner plans to develop a hotel and restaurant. Michael Kalet of Cushman & Wakefield | Pyramid Brokerage Company exclusively represented the marketing of the property and facilitated the sale on behalf of the Seller Della Fern Davis.